Wednesday-Sunday 10 a.m. – 4 p.m. Experience the Glass House bursting with colorful spring bulbs, lush tropical plants and gnomes as the gardeners. Baltimore’s favorite harbinger of spring is the Conservatory’s annual bulb show. 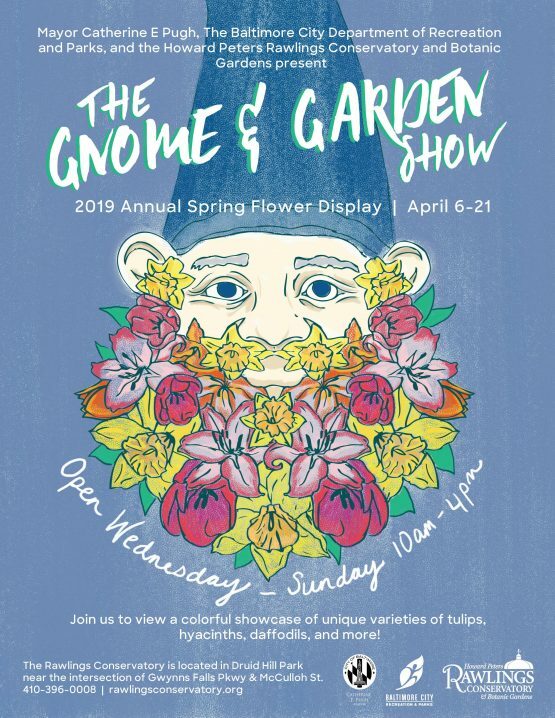 This showcase of unique varieties of tulips, hyacinths, daffodils, and grape hyacinths also features grasses, desert plants, and tillandsias grown in the Cylburn Arboretum’s greenhouses. A rainbow of spring colors awaits – this is what you’ve been waiting for! The Conservatory is open 10 a.m. – 4 p.m., closed Mondays and Tuesdays. TRAFFIC ADVISORY: April 19 – 21 – heavy traffic is expected due to events at the Zoo. Check our Facebook page for details on any road closures.